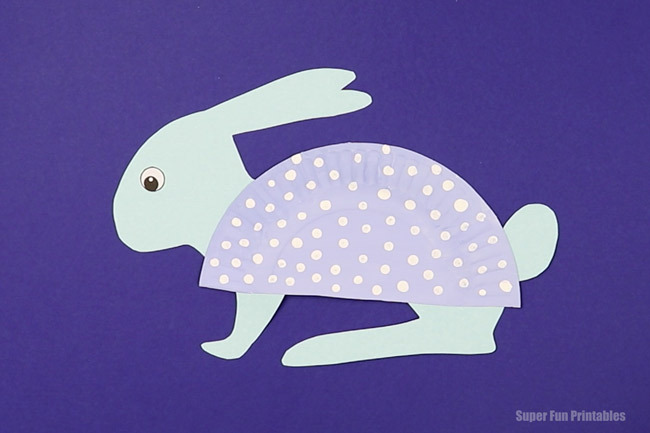 This paper plate bunny craft is a fun activity for kids of all ages. 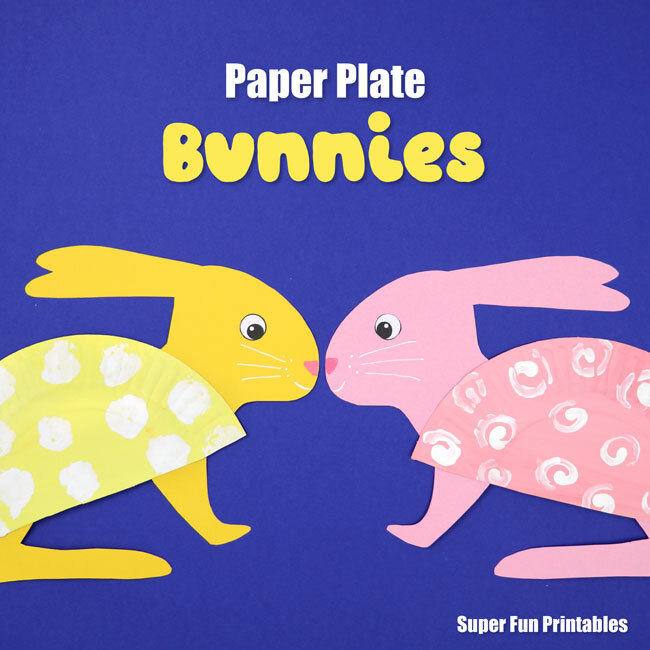 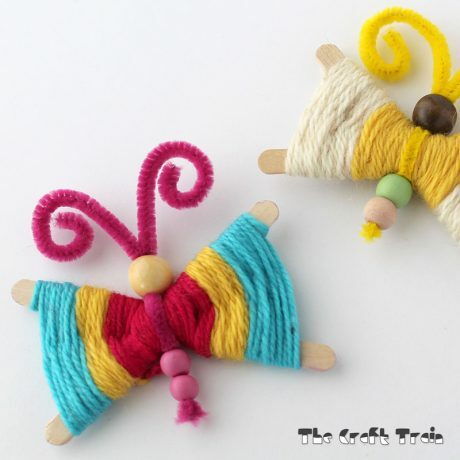 It is perfect for Spring or Easter-themed crafting and would make a great classroom display with bunnies of all different colours – it would also look cute on the fridge at home! 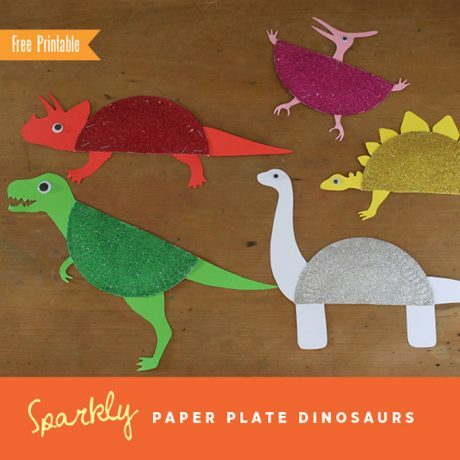 You guys know how we love making paper plate animals! 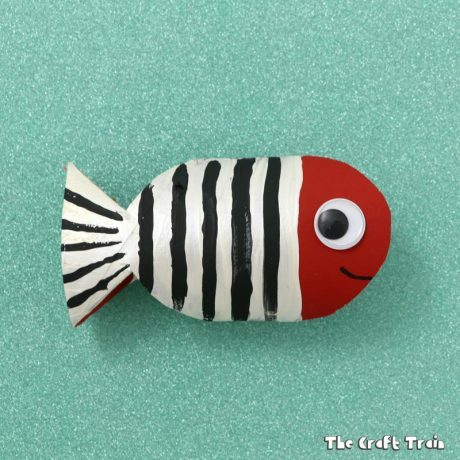 We have a whole ebook of Paper Plate Ocean Animals, and more recently we’ve shared a super-simple paper plate chick. 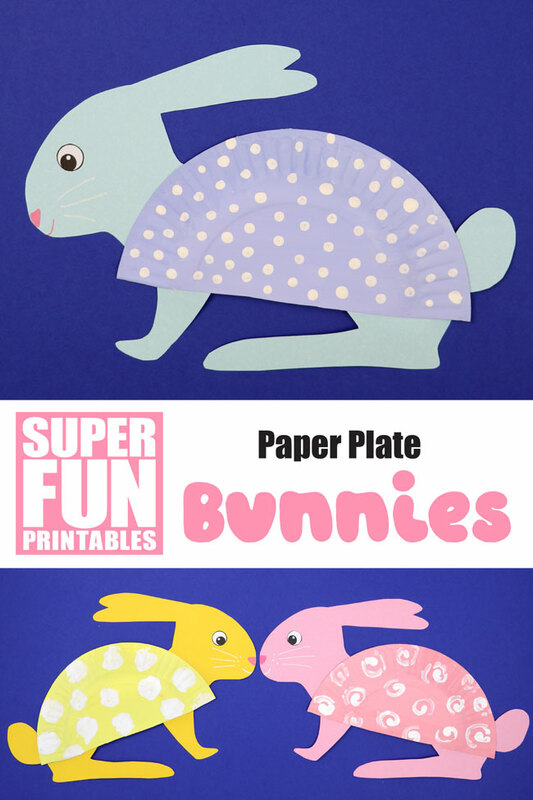 Today we’re bringing you a paper plate bunny craft which can be made using our printable template. 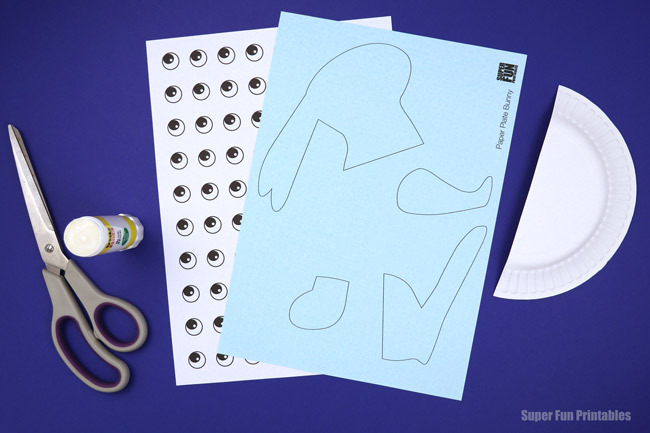 It’s very easy to put together and gives kids a chance to practice their fine motor skills with cutting, gluing and patterning involved. 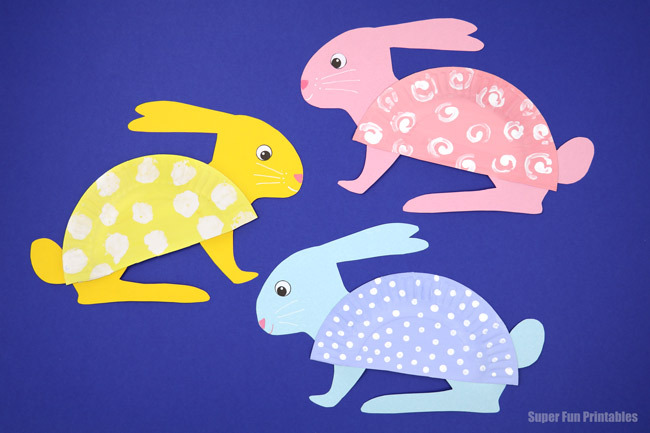 The paper plate has been decorated with a flat pastel colour which I have allowed to dry before adding simple white patterns with a cotton bud (Q-tip), and cotton ball spots for the yellow bunny. 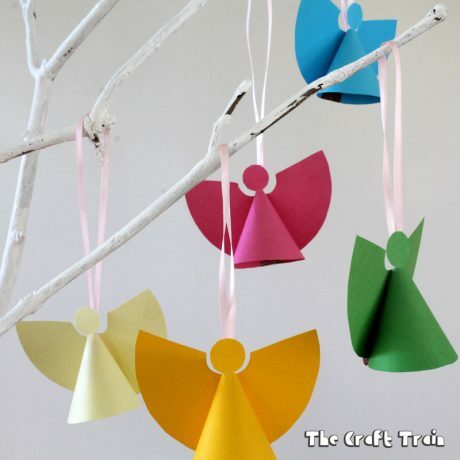 If you don’t want to wait for extra drying time just paint patterns on top of the wet colour, however the colours are likely to mix a bit in the process. 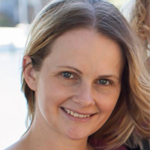 Most kids probably won’t care! 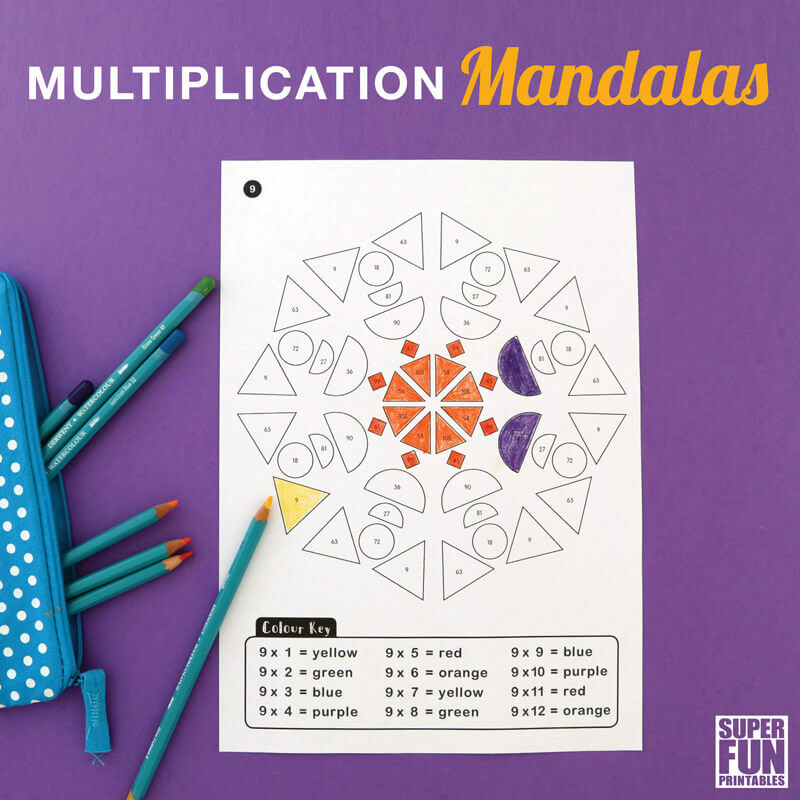 The printable template includes both an all-in-one template (all elements on one page), and a teacher set. 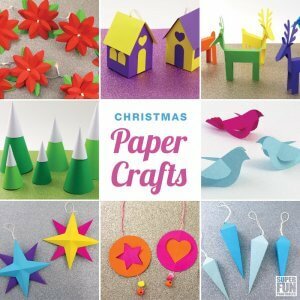 To use the all-in-one template, print to white paper then either cut the shapes out and trace onto coloured paper, or staple the white sheet to a sheet of construction paper in all four corners and cut the shapes out. 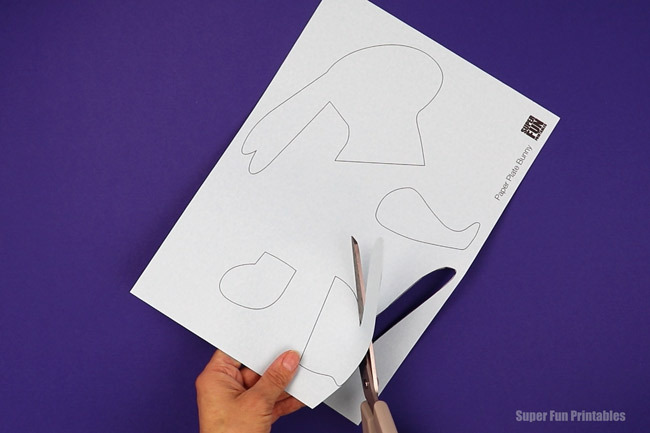 Then cut the eye out from the white paper. 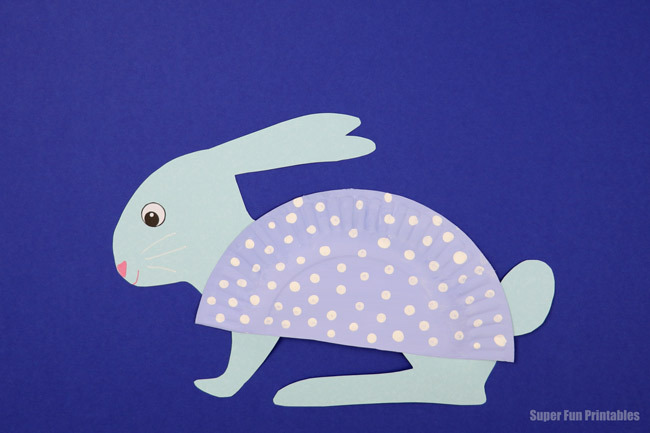 The “teacher set” has the bunny shapes on one page so they can be printed directly to coloured paper, and a sheet of eyes to be printed to white paper. 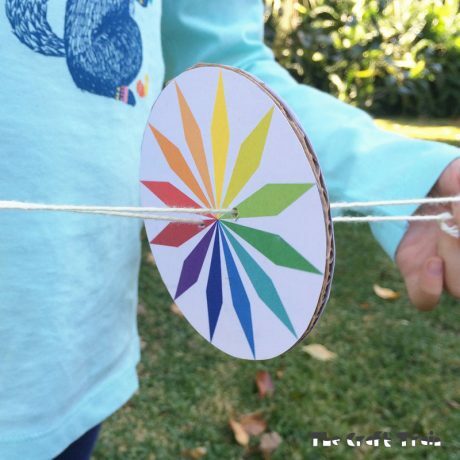 This is to simplify the process for a large group of kids, but of course you can do this at home too! 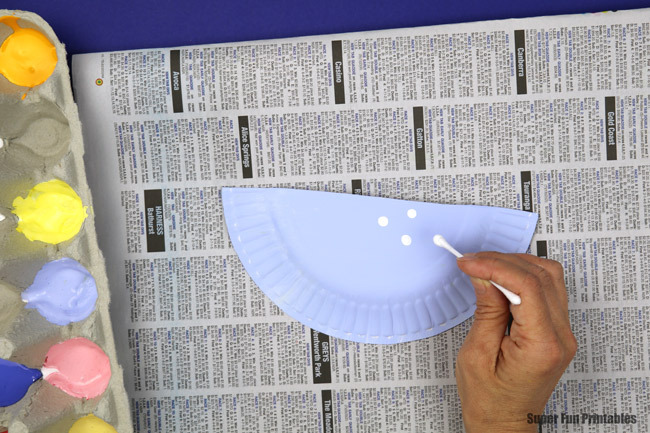 2) Cut your paper plate in half by folding in half then cutting along the fold line. 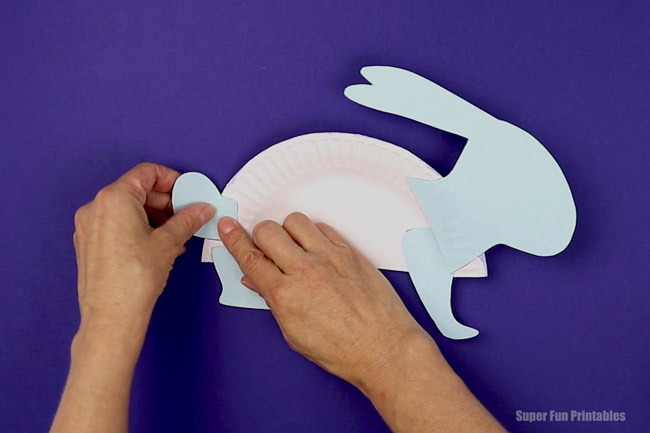 4) While the paper plates are drying, cut out the bunny shapes. 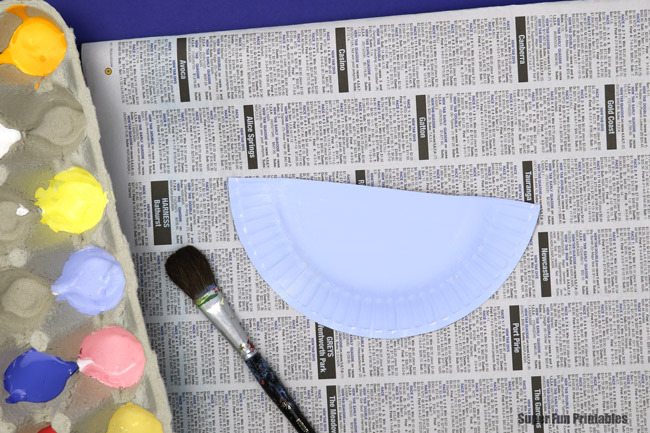 Did you know paper plates can be used as an element in a DIY construction set?